Successful digital transformation will be the key to tackling the business world of tomorrow and to expanding your business in this new world context. 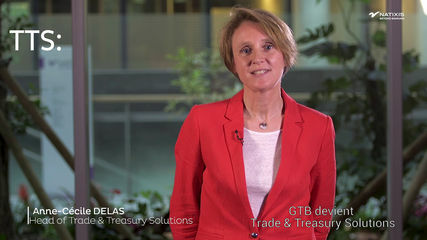 Your experts at Trade & Treasury Solutions are at hand to help you meet this challenge by providing innovative cash management, liquidity management, international trade transaction finance and correspondent banking solutions. Login The username is required. This user is not allowed to use Sign&go. We provide a comprehensive range of trade finance products and services to assist you as you expand your international activities and secure your international transactions. Our Supply Chain Finance - Payables & Receivables - offering provides you with high valued-added solutions to optimize your working capital requirements. Natixis plays an active role in the various projects on the Paris financial marketplace in order to offer its corporate clients services based on innovative technology such as Blockchain. 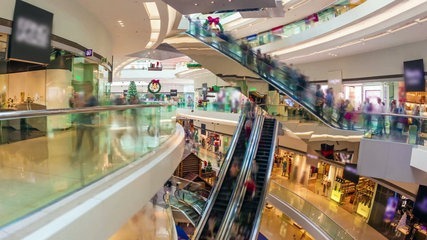 Natixis is also a member of the Digital Trade Chain program, a Blockchain platform designed to facilitate international trade. Find out more about Supply Chain Finance, a solution to optimize your working capital. We offer you multi-bank, multi-channel and multi-format centralized account statement solutions as well as a consolidated view of positions on your accounts via the Natixis website. Our teams are available to advise and assist as you set up cash pooling solutions, whether you are based in France, Europe or internationally. You benefit from a range of products to enhance your liquidity, suited to the nature of your surpluses. 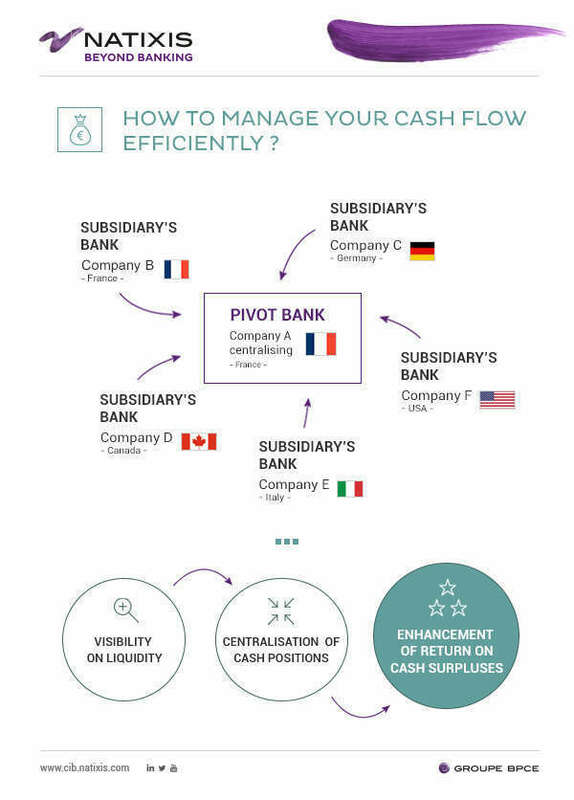 View our infographic to find out how to manage your cashflow. In a fast-changing cash management market (Instant Payment, DSP 2, Blockchain, Fintechs, etc. ), our teams work closely with you to provide innovative payment solutions. Our multi-channel and multi-format payment and data reporting offering enables you to optimize management of your flows in France, Europe and internationally. You also benefit from high-performance services to secure your transactions and combat fraud attempts. Find out more about myContrôles, digital solution for securing transfers. Our Trade & Treasury Solutions teams are at your disposal to support you in your business and to optimize your international payment tracking. You benefit from comprehensive payment guarantees into and out of Europe, as well as in euros on Africa on the back of our vast correspondent network there. Natixis is a member of SWIFT gpi (global payment innovation) alongside the main international banks and our experts play an active role in the development of secure digital solutions. We are the first French bank to use SWIFT gpi technology to trace the various international transaction stages as issuing, beneficiary and intermediary bank.